* with cold and am cold and weather is cold! … Wacky Wednesday: I fetched Steve and Andre Fourie (Mr PE 2014) for the radio show at AlgoaFM. Then coffee at Bluewaters cafe, home and off to my weekly massage for an hour. Home at 2pm,and off to Aurora Hospital for hydrotherapy until four pm. Snooze for a while until supper. Freezing cold – I think its hovering around 7 degreees! – so off to bed and some reading and trying to get lift to Patensie. … Wheels come off! Lift to Patensie with Niekerk Ferriera originally at 2pm but only at 4pm. Arrive at Lande Ferriera’s home, get ready for piano concert by Rocco deVillers at her home with an audience of almost 150 guests. Cheese and wine and music and conversation that continued until 4am! … Spent Friday doing admin on her stoep, rest into PE for the day. Walked, talked, visited until Pera arrived at 5pm. Pizzas for supper and early to bed! 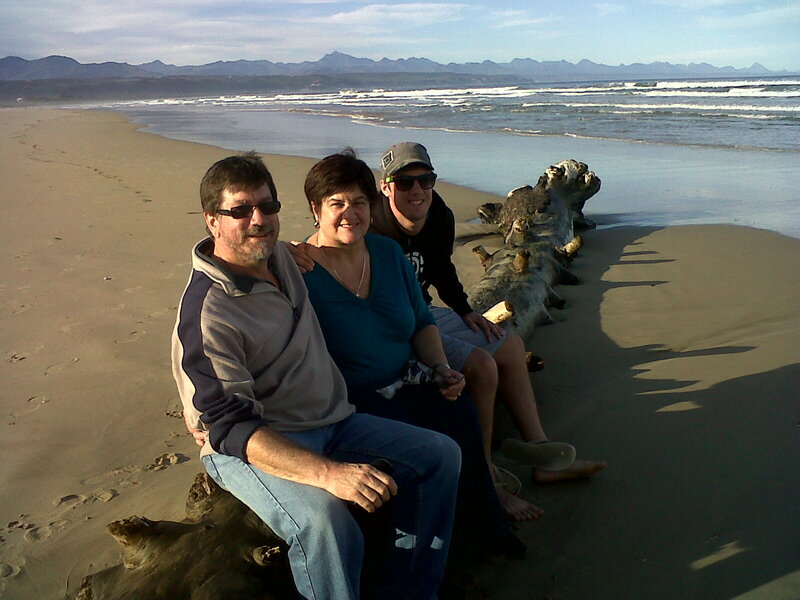 … Father’s Day: Left Patensie at midday for Plett – joined up with Sean at the Bryants! Another afternoon and evening of “kuiering”! 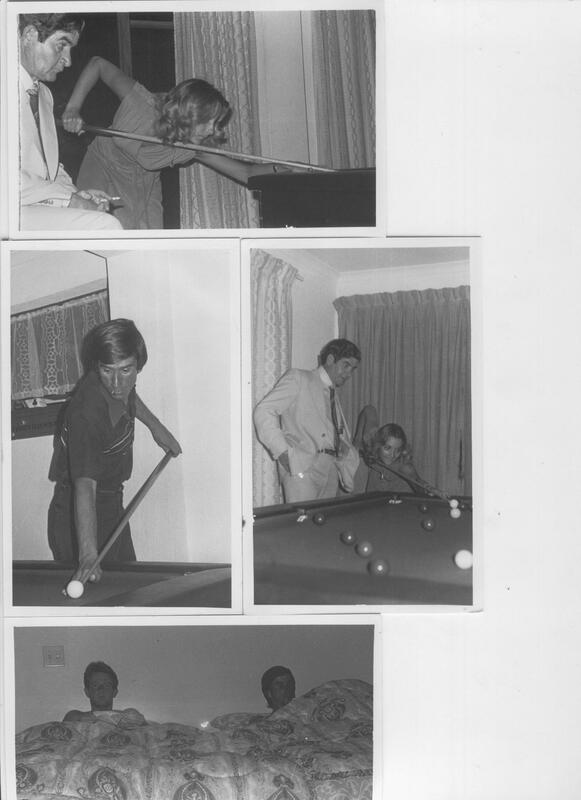 … Youth Day (Monday): Breakfast at home; coffees at Beacon Island; lunch at The Deck and then back to PE in the evening. … Tuesday: Visit from Sr Gill; haircut; visit to Niekerk and Pietie Ferreira at St George’s Hospital; Looking for lift to bring my pills back from Patensie! I forgot to mention in my last blog that we had the benefit of not having cell phones in those days (1979). As students, we managed a number of cons (written off as “onskuldige studente-pret”) (innocent student fun). At the Beacon Isle Hotel, we would go and lie at the pool (for residents only!) and pretend we were booked in there. We would cuddle up to some other familes and pretend we were part of the group. Sometimes it worked and sometimes not. I recall a middle-aged ( probably called her ‘elderly’ then) lady from Sandton. She wore a golden swimsuit and was dark bronze tanned with golden earrings dangling from her ears and a golden necklace around the neck. She never swam in the pool but just lay in the sun day after day – working on that bronze tan. We pretended to her that we were guests and she chatted to us day after day. Then one day, the waiter asked us for our room number and when we gave a number that didn’t exist, we were hurriedly chased out from the hotel. Thereafter, she would have nothing to do with us! Ha ha! Howard Sheard has just reminded me that his kid’s Rage this year has cost him more than his own entire academic and hostel stay as a student at Stellenbosch University! School is out … for the summer holidays, and for Phillip for good! Exams are finished and now we wait for the results early in January 2014. 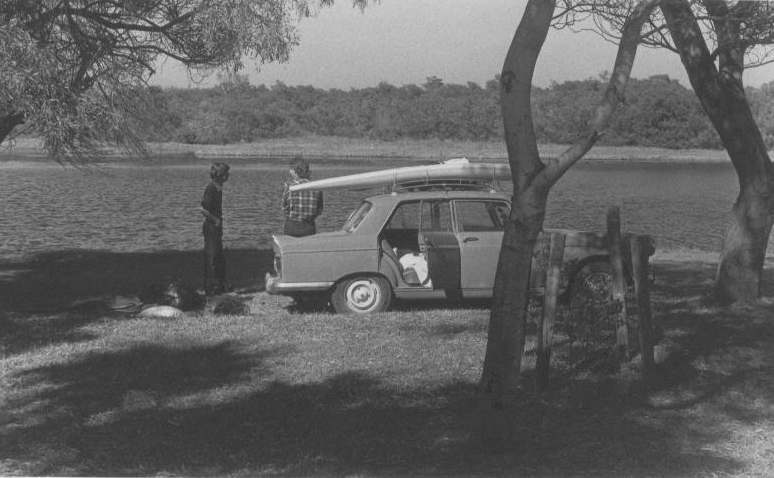 As students, after 1979 exams at Stellenbosch, we also headed for Plettenberg Bay. Plett Rage is the longest running and arguably largest student festival in the Southern Hemisphere! Plett Rage unofficially started off as a few hundred students migrating to Plett for a few days in the early 80’s for good times and to celebrate the summer. Fast forward to today and Rage is now 10 days of partying at six awesome festival venues, 300 staff to help you and of course 15,000 of your fellow students rocking it out to the biggest and best of SA’s live and electronic music scene. As the youngsters today say, LOL. Forget the “early eighties”, we started the Rave in the late seventies! We have ourselves to blame. But our trip was very different. Our parents were certainly not involved. With a few rands in our pockets, we headed to Plett in what we called the Pugget (our Peugeot). We, being three lads and a lass. Our few articles of clothing and a tent were in the boot. On arrival at Piesangs River Caravan Park, we were sent away. 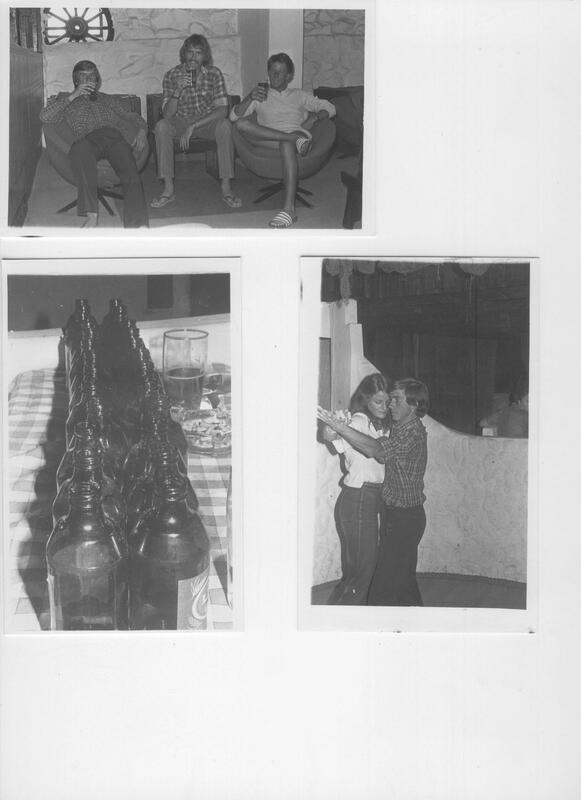 The place was a FAMILY tent and caravan park, and the owners could not determine a “family” in our group of four! For the rest, I remember too little (maybe better so.) I think there was the Formosa Inn, the Grapevine Pub under the Beacon Isle Hotel and the Cave at the fake Spanish style Arch(er)wood Hotel. We had to leave Plett late on the night of the 30 November, because the caravan park rates went up for the season on the 1st December, and as students, we could not afford that! Th e Pugget gave us problems and overheated in Knysna, so we just filled the radiator up with salt water from the Knysna lagoon, right there next to the National Road. We even took a container of salt water with us, just in case! The rest of our Plett Rage is a blur – I think its my disease or old age that one blames for loss of memory. And, so the sins of the fathers are visited on the children …. I have now, at last, inked in the gaps… the holiday diary is completed! There was no TV set in our cottage, and hence we would not see the big game for which South Africa had been preparing for weeks now, and which would be watched by almost everyone in the country. It was even scheduled on our itinerary … watch rugby over breakfast and then head home! Such is the nature and hospitality of the people of the Koo, that when I asked the lady who had prepared our lunch on Saturday where we could watch the game, she immediately invited us (total strangers) to come and watch the game at their home on the farm next door. However, Pera felt that we would be intruding, and would not go. I lost it again – both the opportunity to watch the game and my volatile temper. But, it was not to be. And so we packed the car, left the Cottage at 07h30 and headed east: the R62 to Barrydale, then the Tradouw Pass through the Langeberg to Heidelberg where we joined the N2 and then straight on to Port Elizabeth. We would be back by about 14h00. We listened to the game on Radio 2000 in the car. I enjoyed the passion and enthusiasm of the commentators who, unlike their TV counterparts, have to place the dots, join the dots, colour it in and paint the whole picture in order for the listener to know just what is happening on the field. But this is mountainous terrain and I did not enjoy losing the signal every so often … and it always seemed to happen just at the wrong time! So we went into the Tradouw Pass in the excited winning situation of 9 – 8! It’s a beautiful pass and one that meanders along the course of the river through the towering mountains on either side. I’m not sure we really noticed much. … and out of the World Cup! Australia had scored a penalty whilst we had no signal. It was 9 – 11 all over again – and, this time, not in New York, but in Wellington. Who was to blame for this atrocity? – we could only earmark the referee! The car became quiet. The world had ended and our holiday had ended. Go to Jail. Go directly to JAIL. Do not pass GO. Do not collect R200. And just when you needed it most because, in fact, you’d spent it all on the holiday! Plan of action for 7/8/9 October. 7 October 2011: Leave Strand early Friday morning so that we can do the Robertson wine route, will have lunch in between wine tasting, after lunch we will wine taste some more, After wine tasting we will make our way to the cottages just outside Montague,(www.oakguestcottages.co.za) where we will settle for the night. We can braai the evening. 8 October 2011: We can have a light breakfast, then make our way to the Protea farm for the Tractor ride at 10:00 after the ride we make our way to the potjie area which is on the farm for lunch.(http://www.proteafarm.co.za). 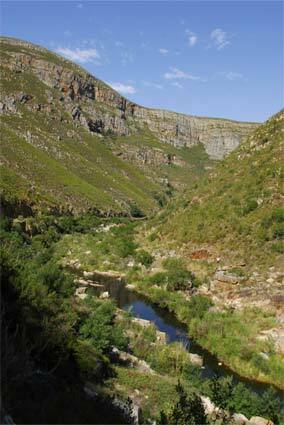 Rest of the day we can relax, maybe do some sightseeing of Montagu. 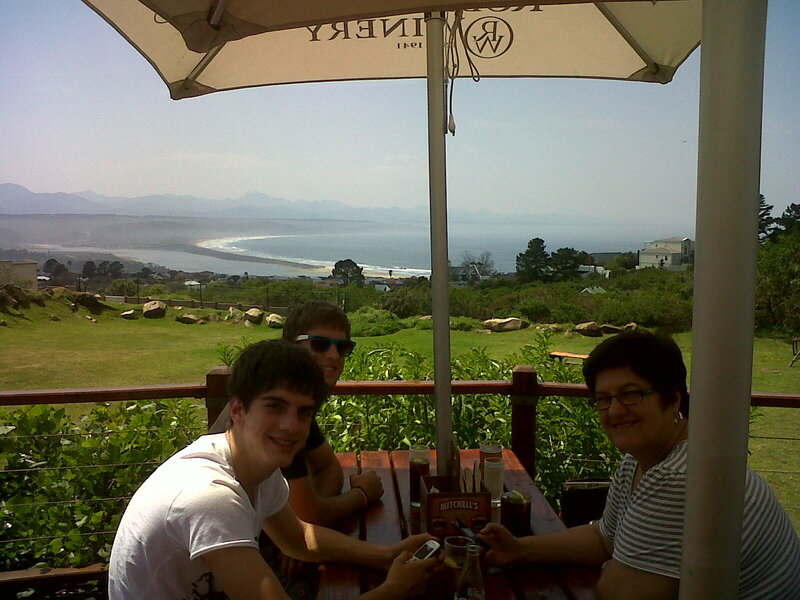 9 October 2011: We can have breakfast in Montagu and say our Good bye’s…….. The amount you can transfer for the Two days including accommodation, Tractor and Potjie is into Michelle’s account. Nearer the time we can chat about the weeks arrangements. Last year, round about this time, I wrote Piece of Paradise and Ed and Elvis. In both blogs I wrote about trips to the Southern Cape, including the Garden Route, and about visits with friend Jan Hoogendyk who had entered the SA Idols contest. Well, history tells us that Jan went on to win SA Idols 2010 as Elvis Blue, and Sean and I were pleased to break into his heavy schedule and to meet up with him for a quick cuppachino at Dulce’s a while ago. I’m still hoping to get him to Port Elizabeth for a show. And this past long weekend, we went on to visit the Southern Cape once again. 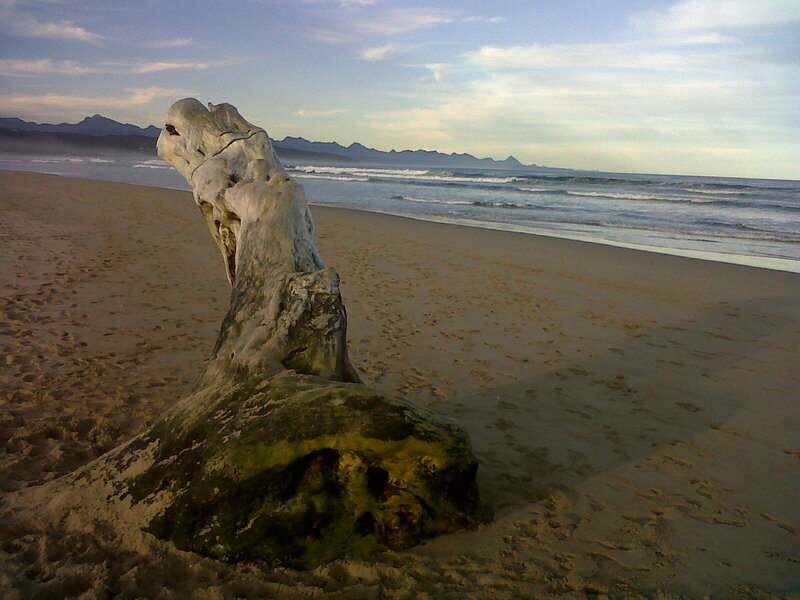 Exactly a year after visiting Plettenberg Bay in 2010, we were back in 2011. At one pm sharp we took the drive around the corner at The Crags, just before Keurbooms Strand and the River. 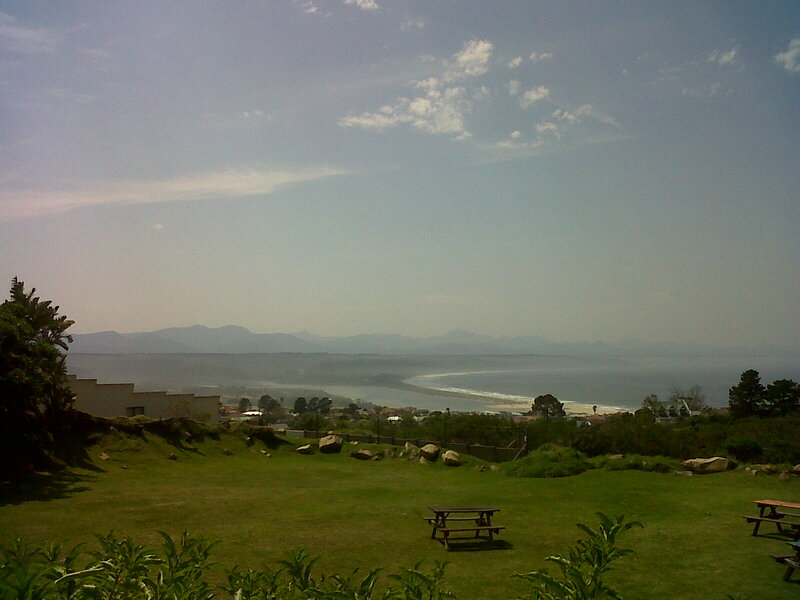 The view before you of the Plettenberg Bay and the Robberg Peninsula takes some beating. After lunch, we went for a long walk along the beach, from Keurbooms River, along the lagoon spit and all the way to the river mouth at (what used to be until it was flooded away) Lookout Beach. John tried his hand at fishing, something that just a few weeks ago he was unable to do! The views of the blue ocean and the blue mountains – some still capped with white snow from the recent falls – that surround this impressive Bay are spectacular. We even had the pleasure of viewing a display by a lonesome whale just beyond the surf. 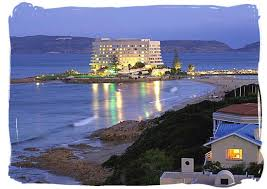 Plettenberg Bay is to South Africa something like Monaco is to the French Riviera. The views of the Robberg Peninsula and the Tsitsikamma Mountains are spectacular. The homes on Millionaire’s Row are stunning and possibly extravagant. Juxtaposed to this display of the country’s wealth, just on the other side of the N2, is the squalor of the tin shacks, the RDP houses and rows of outside toilets (ironically, at one stage, this township was named Flushing Meadows!). It is a common-place sight in our country: the haves and the have-nots right next to each other. One sees it in Johannesburg’s Sandton and Alexandria; in Cape Town’s Constantia and Hout Bay and Khayalitsha; and, in fact, in every South African city, town, village and township. It is a display that could quite easily begin a discussion on the Fairness of Life (who said that Life’s fair?) and fuel a debate on socialism. Many years ago, I recall our then domestic assistant, Lorna, looking at this display of empty holiday homes and not understanding why so many of these large homes were only occupied for just a few weeks in each year! As I write this, the youth of London and indeed Britain, have gone on the rampage. SKY News is showing pictures of wanton destruction, looting, arson and plain downright criminality and theft. If this can happen in a so-called First World Country, it reminds me how much of a tinder box we sit on here in South Africa! When I was in doing my military service at the Infantry School in Oudtshoorn in 1982/83, we often came to Keurbooms for weekends. I had to AWOL, as I was just a troopie in my first year whilst my brother-in-law Anton and his mates were officers in their second year! Indeed, my first visits to this magnificent part of the world were whilst I was studying at Stellenbosch University. 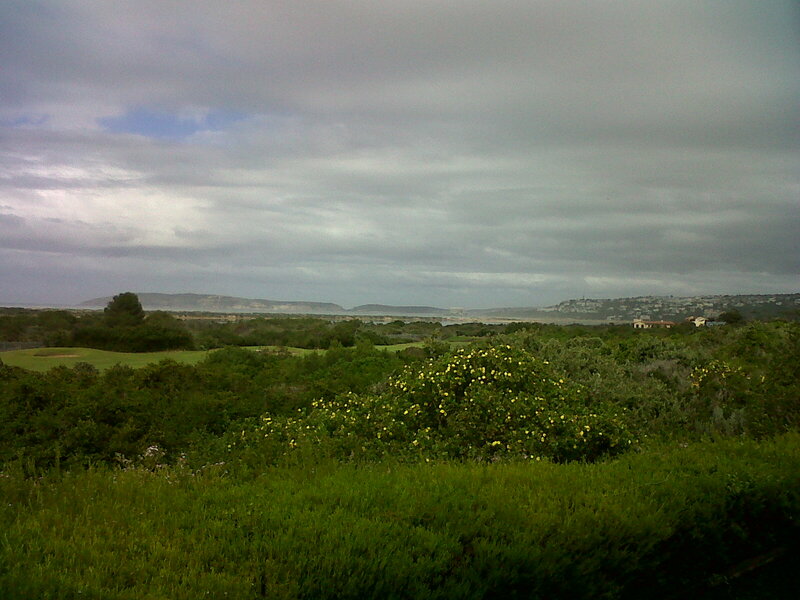 We came to Plett at the end of every year once we had finished our final examinations. It was the beginning of what is now the much more formalised “Plett Rage” that takes place annually in December and now draws not only thousands of University students but also thousands of finishing off high school matric pupils from all over the country. 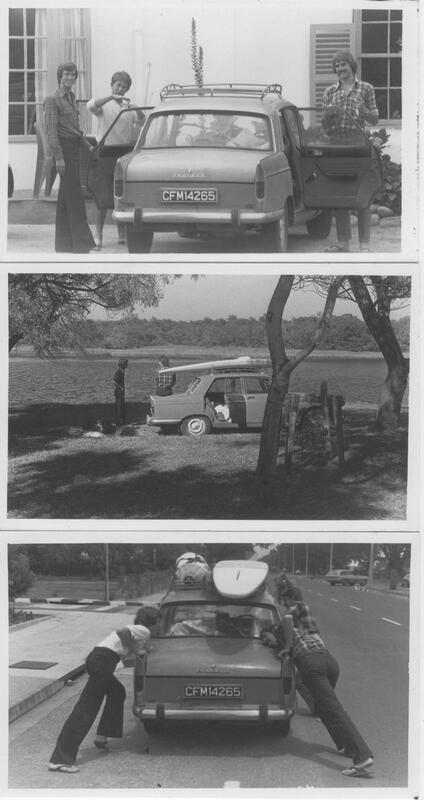 I remember one trip, arriving in the Peugeot (nicknamed the Pugget!) and being kicked out of the then Piesangs River Caravan Park, because the five of us – one woman and four men – did not represent a family unit of any kind, and that park supposedly only catered for families! We ended up camping at the Plett Park instead. Within a few days we collected enough to fly the lady back to Cape Town and we continued enjoying what was then the pub at the Beacon Island Hotel, the Grape Vine (?) underneath the Hotel, the Formosa Inn and the Arches. On our evening trip back to Cape Town, the Pugget overheated near Knysna, and we filled the radiator with salt water out of the Knysna Lagoon! We later pitched our tent on the front lawn of the Du Toits in George – and they found a squatter camp in their garden the next morning! Those were the carefree student days of bright sunshine, braaivleis, beer and bankcruptcy! In later years, our family often visited this area too and we have explored most of the Plett, Keurbooms, Knysna, George area – the Garden Route of South Africa. We also bought a plot of land at Sanderlings on the Keurbooms River, and had plans drawn up for a holiday house there, before we decided to buy in St Francis Bay instead. Saturday evening we braaied with the Bryants, Sunday we slept in and then walked the beach, as we did on Monday. We talked, we walked, we ate, we slept and John fished – something I still do not do voluntarily! It was a weekend of re-charging the batteries, depressing the blues, enjoying friendships and living Life! Those are the words that I remember from my consultation with Prof Carr at Tygerberg Hospital on 8 February 2007. I set myself three goals, one of which was to see Sean finish his grade 11 year and enter his matric (Grade 12/Senior) year at High School. That was a year ago now, and I reached that goal quite comfortably. I then set a new goal of attending his Valedictory Service at the end of 2010. I have slowed down and it has been more difficult to get here. But, here I am, and – thank God – still not severely incapacitated. Although I am aware that the last few weeks have been the most difficult so far, I am still able to manage well. And, here Sean is, finished with High School and about to write his final examinations over the next six weeks. Eighteen years into Life and the last twelve years spent at school preparing for that Life. The last week or so has been hectically spent by him and his mates (and their families!) celebrating the end of those formative beginning years. First, they had their formal dinner at the Edward Hotel. A crowd of his mates arrived at our home before the dinner to have photographs taken. I spoke to the matrics on Tuesday in the school hall ( read Fasten Your Seat Belts). Then there was the Heritage March last Wednesday afternoon. With the military band resplendent in their reds leading the way, the Grade 12 class marches in their cadet uniforms from the present school buildings in Mill Park (just 3 years short of its centenary – will I be here in 2013 for that and Phil’s Valedictory? – my next goal!). They march towards St George’s Park, around Park Drive, cross Rink Street and down Pearson Street (I wondered if that Pearson is family of the current Junior School Headmaster Lindsay Pearson?) and head for the original school building on the Donkin, opened in 1859 as the Grey Institute for the first classes of the Junior School there. The original buildings were bought by the Mediterranean Shipping Line and they have spent millions restoring both the school and the Rectory. The school leavers form up with their “backs to the Southern Seas” in front of the school “with its front to the Southern Seas”. And so, witnessed by their parents and friends and many Old Greys, at the top of The Hill and with the white beaches and the Indian Ocean below, the Rector, Neil Crawford spoke to them about the wise man who built his house upon the rock, as opposed to the foolish man who built upon the sand. After Bible reading, prayers and the school song, the boys get to throw their berets into the air and to “klaar-out” for the last time. This is all very emotional and stirring stuff and the beginning of the many tears that flow over the next few days. Wednesday evening saw the Officers and NCO’s celebrate the end of their year at a formal mess dinner in the school restaurant. Thursday is the Prize-giving and Valedictory services. Congratulations to all the prize-winners and the new Headboy, Alex Blumberg, and all the new prefects who were announced at those functions. Graeme Clarke, the outgoing head prefect made a very stirring speech as his farewell to the school, on behalf of his peers. After the Valedictory Service, the parents all lined the avenue together with the staff and boys remaining behind, and bid our son’s farewell from the school, as they “walked ‘neath the Tower” for the first and last time as a school boy – and then headed off to the Old Grey Club at Kemsley Park. And then, after lunch, we all met up at what has become a new tradition – Barneys on the Beachfront. At age 14, I was bringing Sean home after an evening cricket practice at Framesby when I reminded him that Mom was out and we were going home to an empty house. He suggested then that we go to Barneys for a beer! When I advised him that it was a bit soon for that, he invited me to have his first beer with him at Barneys when he turned 18! He would buy the round. Well, (and although not his first beer! ), true to his word, he bought the first round (with my money!). There, the celebrations lasted well into the night, complete with school song and “For all the Saints” sung with gusto on the tables and chairs. Dad eventually got home after Son! Twelve years as school mates and family friends have come to an end – the end of the beginning of the preparatory years. And, now, after a week of festivities, the final crunch lies ahead, with school-leaving examinations taking place over the next six weeks. Then, it’s the Plett Rage, when our school-leavers and students head off to that wonderful place, Plettenberg Bay, to do whatever they do best in Plett! Nowadays, it’s all much more formalised and organised and patronised and socialised. I’m sure there will be many stories to write (and some not to write) about. In the meantime, a lot of hard work lies ahead. Good luck, with your exams, school-leavers, and good luck to us all, as we all face the beginning of the next of our lives! Bucket lists have become synonymous with people who have been diagnosed with terminal illnesses. I think the term comes from the movie entitled Bucket List starring Jack Nicholson and Morgan Freeman and I would guess it’s based on the English euphemism for dying: to kick the bucket! We all know what a bucket is – and so this phrase appears rather odd. Why should kicking one be associated with dying? One theory as to why, albeit with little evidence to support it, is that the phrase originates from the notion that people hanged themselves by standing on a bucket with a noose around their neck and then kicking the bucket away. There are no citations that relate the phrase to suicide and, in any case, why a bucket? Whenever I’ve needed something to stand on I can’t recall ever opting for a bucket. This theory doesn’t stand up any better than the supposed buckets did. The mist begins to clear with the fact that in 16th century England bucket had an additional meaning (and in some parts it still has), i.e. a beam or yoke used to hang or carry items. The wooden frame that was used to hang animals up by their feet for slaughter was called a bucket. Not unnaturally they were likely to struggle or to spasm after death and hence ‘kick the bucket’. Any which way. Last week, on Ed is in Wed© on AlgoaFM, Lance and I discussed the travelling that I had done and had been referring to in my blogs. He said that it reminded him of Dalene Mathee’s Kring in die Bos. I have been extremely fortunate to have travelled extensively in my lifetime, both in Southern Africa and overseas. The bug definitely bit me when I became a Rotary Exchange Student to the USA in 1975. Lance then asked whether further travel was on my bucket list? I think my response was somewhere along the lines of “I would love to, but it’s not that easy anymore – both from a cost perspective and from a health perspective”. Yes, bucket lists are easy to draw up when you are diagnosed with a terminal illness. The difficult part is to action the list! In watching the movie Bucket List and in reading various books by authors diagnosed with terminal illnesses, it is evident that it is essential to be quite wealthy in order to action bucket lists. In the case of ordinary everyday people such as me, and in many cases people who are even less fortunate than me, bucket lists are often unattainable. Hence the excellent work done by organisations such as REACH FOR A DREAM. Bucket lists can also become very stressful items, especially in a family environment. A friend said to me just the other day, “You are so lucky to be living the life that you now have!” I was originally quite p***** off, and replied that I would give anything to be healthy again. But, in thinking about it, yes, I have been truly blessed with all the activities that I have been privileged to be involved in – things that would never have been possible had I still been healthy! But, my thinking is not always that of my family’s! In Industrial Relations, which I was involved in for fifteen years of my business life, one recognises the fact that conflict is inevitable in the capitalistic business environment. Because the goal of the one party in the partnership is not the same as that of the other party in the partnership, there is constant feuding between capital and labour! On the one hand, you have entrepreneurs and management trying to make as much profit as possible by utilising their labour for as long and hard as possible – and, on the other hand, you have labour wanting as much remuneration as possible for doing the least amount of work that is possible! Hence, all the strikes that we see as part of our daily South African business environment! The same happens when you have a family where some are living and one is dying! The goals are not always the same, and conflict becomes inevitable. That happened again, this past weekend – the long weekend with Women’s Day being the public holiday last Monday. We had planned to go to St Francis Bay for the weekend. 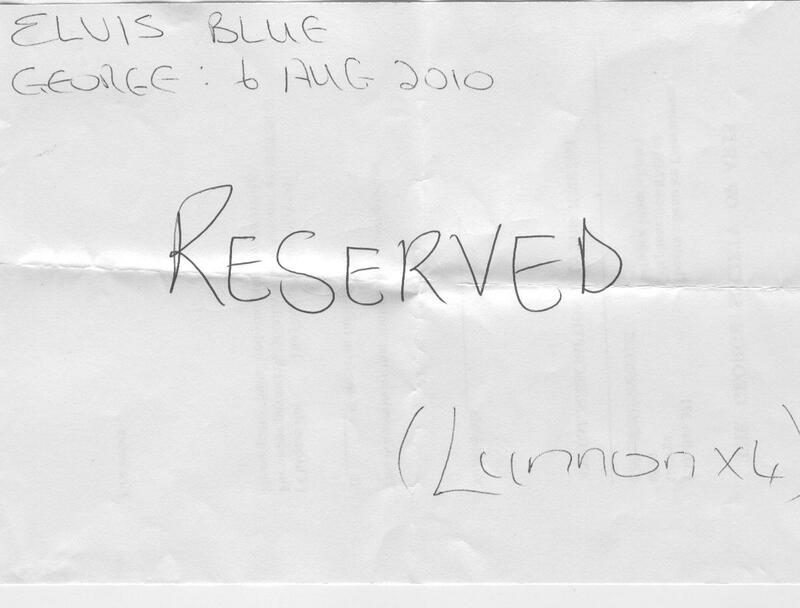 But, we had also been invited to go to Elvis Blue’s concert in George. My bucket list included the concert – the family thought I was insane to travel all that way to go to a concert – well, maybe I am! And, as in industrial relation’s conflict, domestic conflict can also only be resolved through consultation, negotiation and compromise! 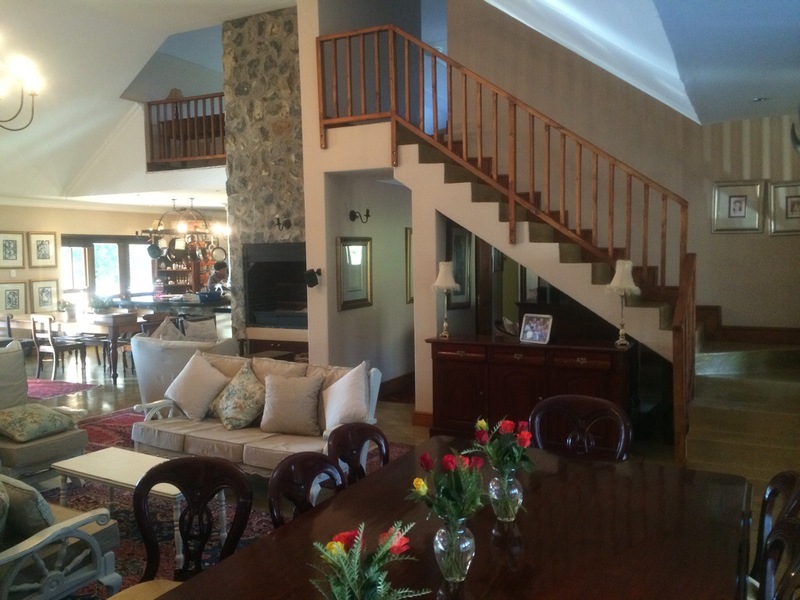 We agreed to go from Port Elizabeth to St Francis Bay – via George! For those who know, that’s like travelling from New York to San Francisco via London! And the party grew from two to four people – from Pera and I to the whole family! So, on Friday afternoon, we left for George – with demeanour, body language and the lack of any other language in the car clearly demonstrating that there was some stress, and that all was not quite well in the state of Denmark! Time was of the essence. We left at two thirty and the concert was due to start in George at seven. We arrived at Hermann and Sally in Knysna (where we would stay for the night) at five thirty, quickly changed (those that needed to) and left for George – another forty-five minutes down the road. I knew the show was booked up, that seating was “first come-first served” and was stressing about having to sit on the floor. However, I did not know that we had reserved seats in the second row from the front, and so some of the stress was quite unnecessary (isn’t that often the case?). Well, Elvis’s singing was exceptional (and the supporting programme was good) and if he doesn’t win SA Idols this year, I am sure he’ll make it close to the very top. We all enjoyed the show and that helped to thaw the mood somewhat! Then back to Knysna, where we spent the night. 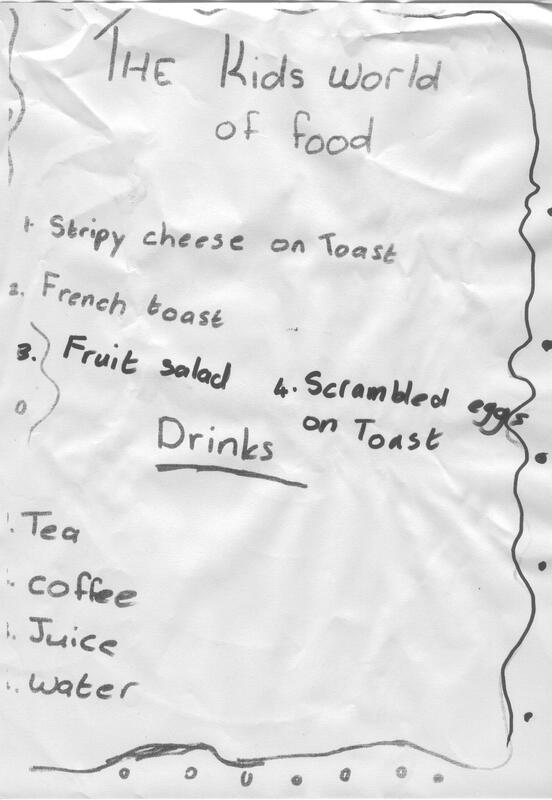 A full-on English breakfast was served, complete with handwritten menus, by Tayla (the youngest of the Kapp daughters) and her friend. When I came downstairs, I found them in the kitchen with their aprons covering their pyjamas. How different having daughters compared to having sons! 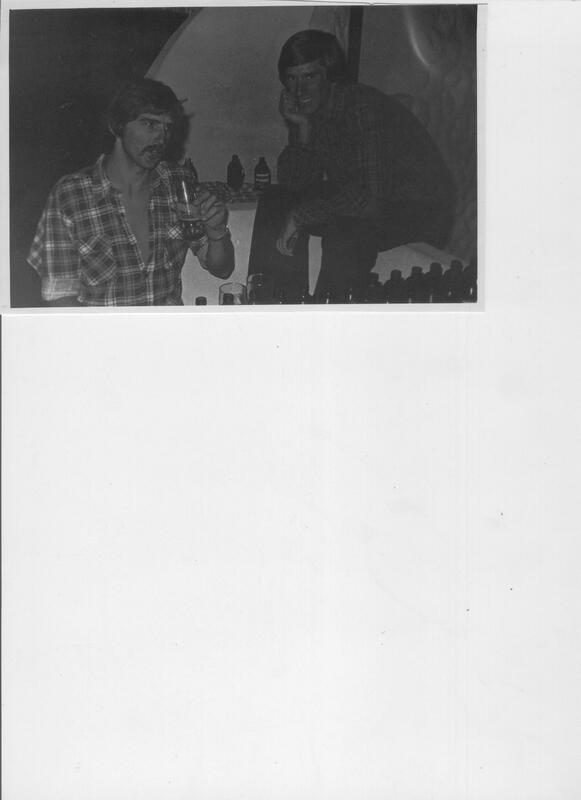 But Sean wanted to visit his school and hostel friend, David Bryant, in Plettenberg Bay. So, in the further interests of compromise, we agreed to make a quick stop there – just to say hello – and phoned ahead to say it would be quick – please, no lunch! Well, Dave’s folks arrived home and almost convinced us to stay the night! But, after much chatting, numerous beers, glasses of champagne, chips and dips, and more and more visitors arriving, we eventually set off for St Fran at about five! What a lovely day – often the unplanned, spontaneous things are just like that! On the way back, we had a flat on the Tsitsikamma Toll Road. Thanks to Sean and Phillip (they could apply to work in Schumaker’s F1 pits) and the toll road patrol, we were able to get moving quickly again and eventually got to St Fran just after seven pm, missing the closing of the Spar by minutes. Our neighbours, the Rishworths, were braaing on their deck, and so we joined them, as we did on Sunday afternoon for lunch, together with their other guests. And then Ken and Dorelle MacKenzie arrived for drinks . . .
Ndiniwe – I am exhausted – but the bucket list is not! Monday morning saw Sean and I rush back to Port Elizabeth to meet up with Elvis and Lance in the AlgoaFM studio for a final interview before he heads off to Sun City. Good luck there, Jan! What a show – what a weekend – what a victory for compromise! We need another long weekend to rest – when’s that?